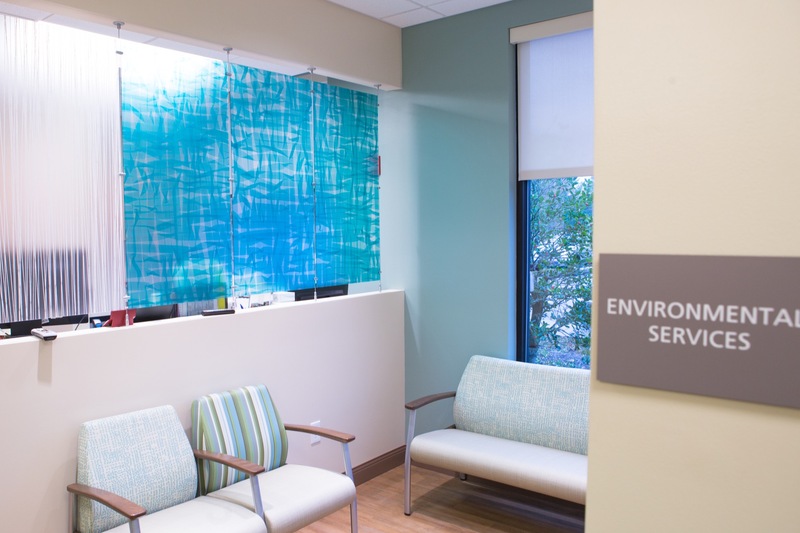 The clients wanted a clean, coastal practice that was welcoming and soothing for the New Hanover Regional Medicial Center branch. 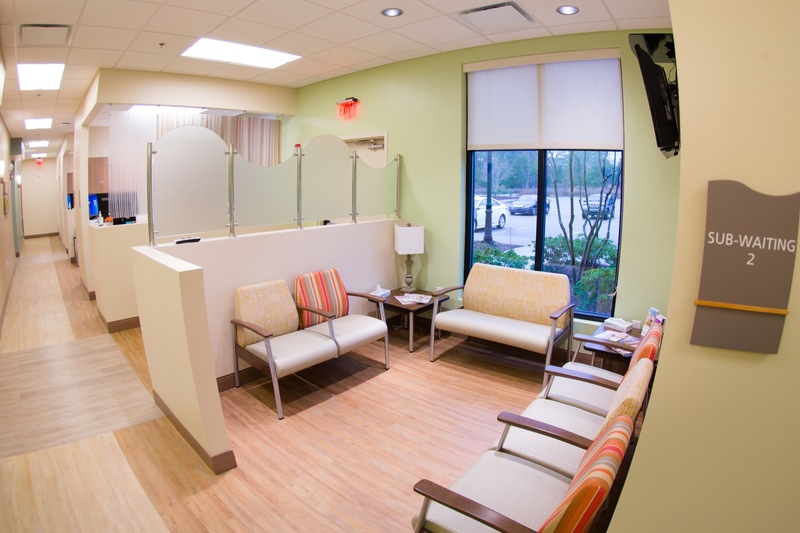 We worked to create visual experiences in each area that would be uplifting to the patients. 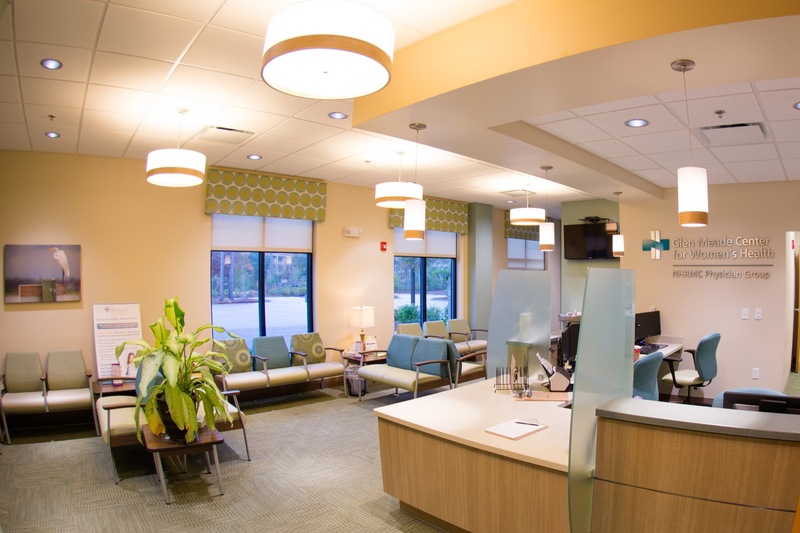 We did this with artwork, beautiful coordinating fabrics, and specialty materials, such as 3form panels. 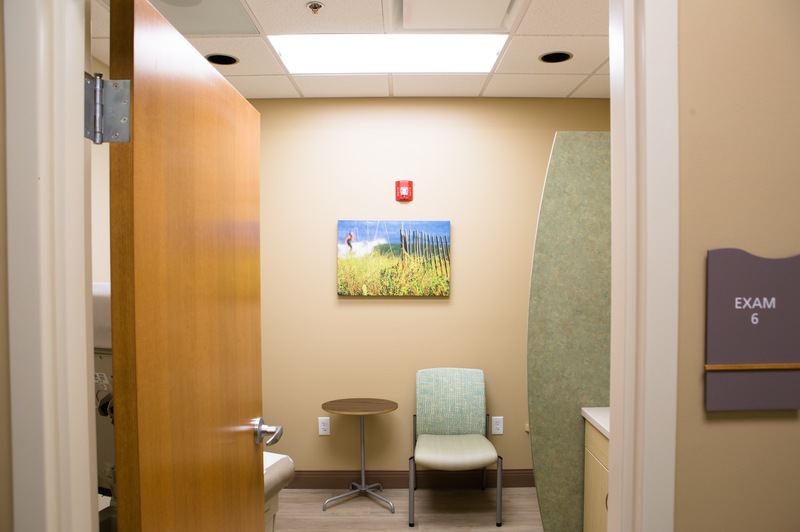 The 3form material was used above partial walls to give the subwaiting areas privacy, but also to add that extra visual element in the space. 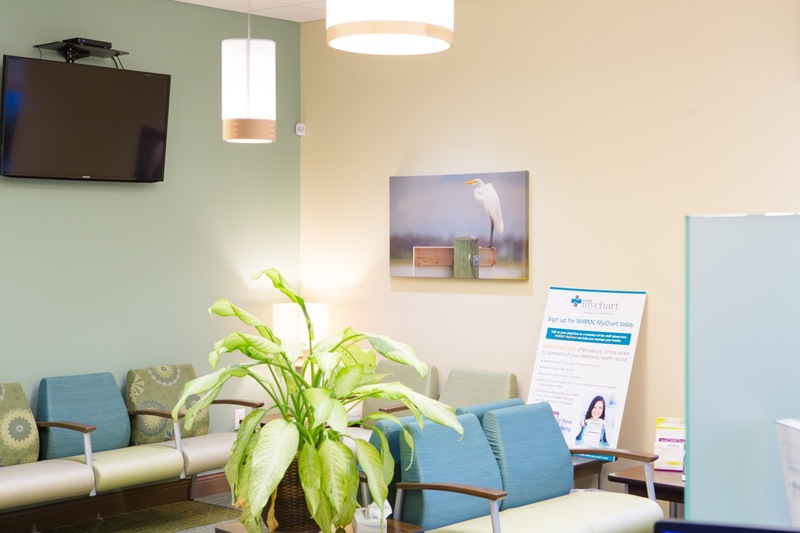 We used artwork from multiple local artists purposely, so that the imagery would be recognizable of the Wilmington community. 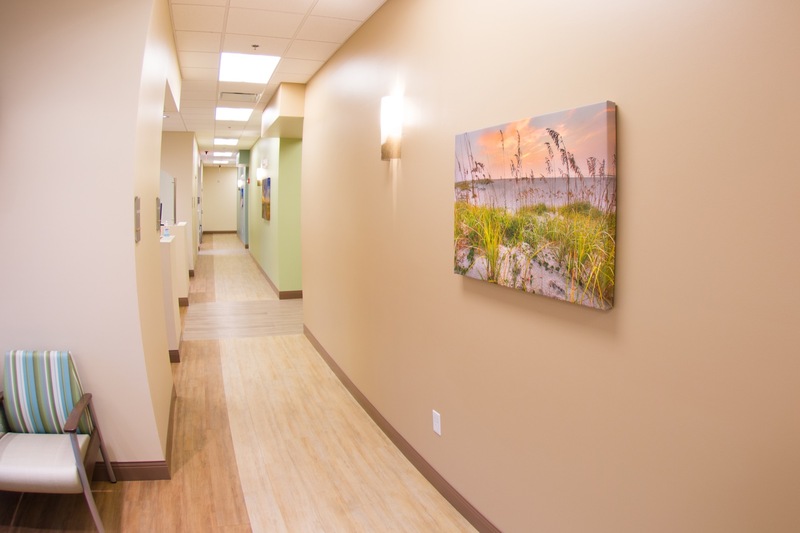 The artwork was placed in prominent positions and showcased in each exam room, so that it flowed continuously through the space. We incorporated natural materials and coastal woodtones in the custom built-ins, lighting and seating. 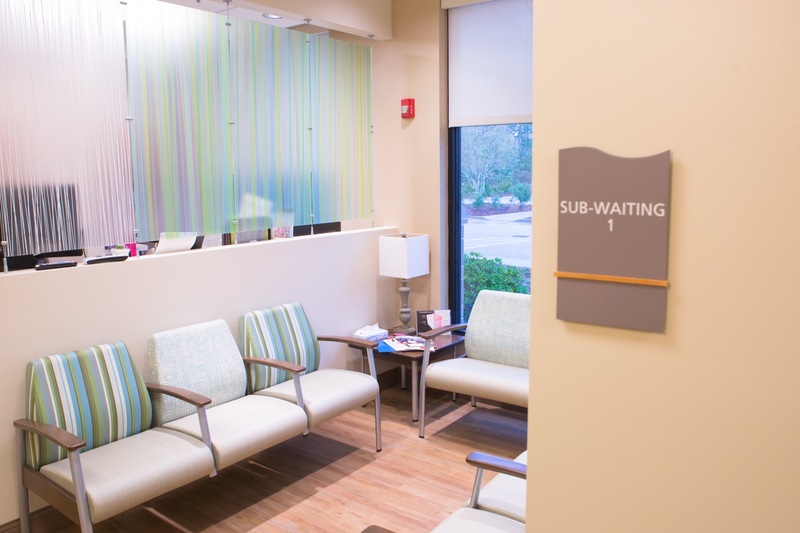 We selected fun fabrics for the custom valances to lighten the waiting area and add flair. We reinforced the patterns in the seating to tie it all together. 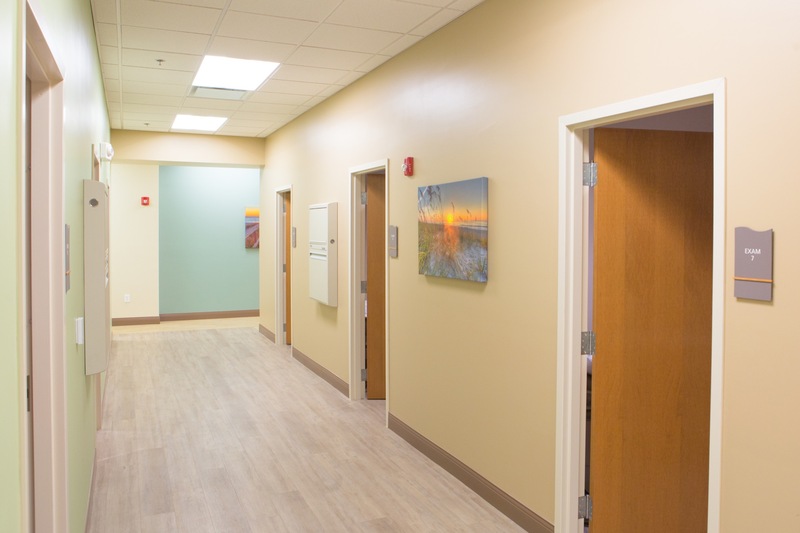 We used artwork from multiple local artists purposely, so that the imagery would be recognizable of the Wilmington community.